December 2, 2016 November 18, 2016 / Julie Brook, Esq. Don’t treat the qualification of your expert as a mere formality. 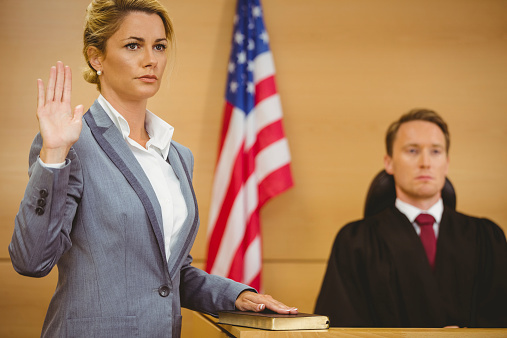 The expert’s qualifications should convince jurors that they’re fortunate to have someone as qualified as the expert to assist them in deciding the case and that your expert is better qualified than the opposing one. To give an expert opinion, a witness must have the “special knowledge, skill, experience, training or education sufficient to qualify him as an expert on the subject to which his testimony relates.” Evid C §720(a). Use the qualifying process to create an aura of anticipation; jurors should look forward to hearing what the expert is going to say. If the case involves the handling of an automobile, the ideal expert should have an engineering background, have raced cars or motorcycles competitively, and have taught high-speed handling techniques to police officers, or written for an automobile enthusiast’s magazine. If an orthopedic problem is involved, look for a doctor who has medical school teaching experience, has written for scholarly journals on orthopedic subjects, and has performed surgery on college or professional athletes or has been a team physician for a college or professional athletic team. If economic testimony is needed, look for an economist who has teaching and writing experience and who has served on governmental advisory commissions or panels. 2. Spend time on the expert’s background and activities. For example, few jurors know what is meant by a “medical residency” or “board certification,” the significance of having an article accepted by a publication such as Science or Nature, or the responsibilities involved in serving as team physician for a college or professional athletic team. Ask your expert to not only define and explain these terms and accomplishments, but to elaborate on them, e.g., to explain the board certification process, quantify the number of doctors who are board-certified in a given field, give examples of the kinds of articles that first appeared in Nature or Science, and list the names of well-known athletes that he or she has treated as a team doctor. 3. Avoid assumptions about the knowledge of jurors. Don’t assume that the jurors have the same knowledge that you do; be thorough in explaining all of the facts. For example, in a case involving a libel suit against the Washington Post, defense counsel didn’t bring it to the jury’s attention that Robert Woodward, coauthor of All the President’s Men, was one of the defendants. They later learned that only one of the six jurors knew of Woodward’s role in the Watergate affair and that juror hadn’t mentioned the fact in the jury room. One juror was reported to have exclaimed: “You mean that’s the same Bob Woodward? Oh my God.” Brill, Inside the Jury Room at the Washington Post Libel Trial, Am Law 1 (Nov. 1982). 4. Spend the time you need. Don’t hesitate to spend up to an hour eliciting the experiences, achievements, and responsibilities of a well-qualified expert. A qualification process that takes less than half an hour probably indicates that you haven’t fully developed the expert’s qualifications or that the expert has limited qualifications. Get guidance on all aspects of direct examination of an expert at trial in CEB’s California Expert Witness Guide, chap 13. Check out these other CEBblog™ posts on expert witnesses. A good jury consultant can also help here, tailoring your presentation of the expert to what your jury wants/needs.